Which VA Refinance Option Works Best for You? Eligible service members and veterans will want to know about the advantageous program offered with VA refinance loans. While many may be aware of the benefits associated with the more conventional VA mortgages, a refinance loan can be equally beneficial for the right situation. Veterans can use these simple tools to take advantage of low interest rates and save thousands of dollars on the overall cost of their mortgage. When compared to conventional loans, the mortgages available through the VA refinancing program can help you to save significant amounts each month. Not only do they hold the potential to lower your interest rates, but they also allow you to forego additional mortgage insurance payments you may currently be making. Veterans should be aware of how to qualify and use these refinancing loans to their advantage. 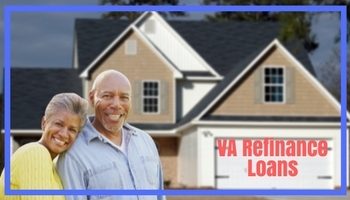 We Specialize in VA Refinance Options Pre Qualify Today – Click Here. The Department of Veterans Affairs does not actually issue the financing for any home, whether it’s a new purchase or a refinance. As a result, many of the specific requirements for eligibility will vary based on the private lender you select. Credit scores, debt-to-income ratios, and preferred income amounts will all vary due to differing standards across the industry. However, there is one requirement that will remain the same for all veterans applying. For more specific information regarding the service requirements, you can check with the Department of Veterans Affairs here. When it comes to refinancing your home through this program, eligible service members will encounter two different financing options. Each one has its own unique purpose, advantages, and disadvantages. To help you select the appropriate refinancing scenario, we will dive further into those loans below. This type of financing is only available for homeowners who currently have a mortgage through the VA program. These loans, sometimes referred to as Interest Rate Reduction Refinance Loans (IRRRL), allow you to refinance the current mortgage on the property at a lower interest rate. Obviously, saving money on your monthly mortgage cost is a huge advantage to the streamline refinancing. It can save you tons of money over the duration of your loan, as well as on your final expenses at the end of each month. However, there are more pros to this program that should be discussed in-depth. Because you’re simply refinancing your current mortgage, a streamline refinance is typically faster and easier for lenders to process. 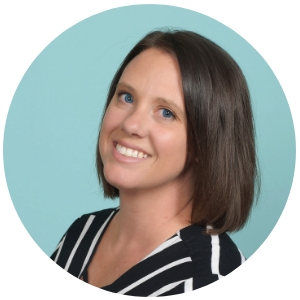 You may even be able to find a “no cost” streamline loan that comes with no upfront expenses. This could be possible through gaining a slightly higher interest rate or bundling the closing costs into the “new” mortgage. Homeowners also do not necessarily have to live in this home in order to qualify for a streamline refinance. Previous occupancy will be a requirement, but this is a great option for those now interested in using the home for a rental property. When many people imagine refinancing their home, they believe they will walk away with tons of cash from the equity built up in the property. With a streamline refinance, you won’t be able to walk away from the closing with any extra funds. This is purely designed to help you lower your costs and save money on interest. This is the type of refinancing that most homeowners have in mind. A cash-out refinance allows you to pull money from the equity of your home. In this specific circumstance, homeowners can take up to the full amount of the home’s appraised value and possibly even more. 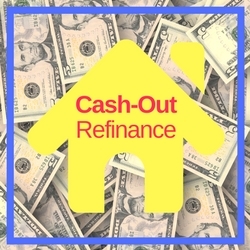 The major advantage to a cash-out refinance is the ability to generate a large sum of cash all at once. This money can be used for any purpose, whether you need to pay down some debt or facilitate a major renovation of the property. It’s a quick way to gain access to the money you need and to rewrite your loan to feature the more advantageous benefits of a VA mortgage. 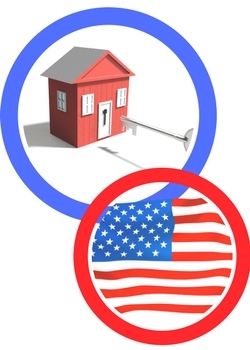 With your new VA mortgage, you will often have lower interest rates. This can mean larger savings over the duration of your loan, as well as a potentially lower monthly cost. You can also get rid of pesky mortgage insurance payments that may be required with your current mortgage program. You do not have to have a current VA mortgage in order to qualify for a cash-out refinance loan. If you were unaware of how much money this program could save you or you didn’t qualify at the time of your purchase, this presents another opportunity to take advantage of the many benefits. Unlike the streamline refinance which doesn’t require the owner to occupy the property, a cash-out refinance must be your primary residence. This will not be the ideal solution if you are searching for an investment property or a new place to live. Furthermore, the process may take longer than a streamline refinance. Because this will be handled similar to a new home loan, the process may involve more paperwork and a lengthier wait in order to receive the funds you’re anticipating. There are other categories available for the initial purchase of a new home, but many do not apply to a refinancing situation. Check with your lender for more information on whether your current home will qualify for refinancing through the VA program. 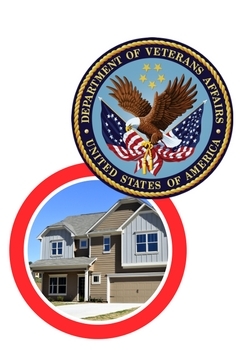 The Department of Veterans Affairs (VA) does not set the rates for mortgage programs. Instead, these are set by the private lenders who issue the financing. Interest rates can be based on any number of things, ranging from your personal information to economic indicators. You may face different interest rates based on your credit score, debt-to-income ratio, and the loan duration. 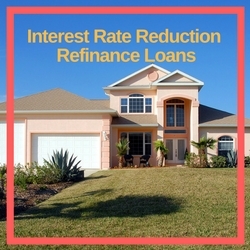 To find out what your current interest rates would be for a refinance, contact your lender today. Many homeowners wonder what their credit score truly needs to be in order to secure VA refinancing. There are no minimum credit score requirements for a new purchase or a refinanced VA loan. Lenders are encouraged to take a look at an applicant’s full file before making a determination regarding approval. The average credit score for many homeowners who refinance their loan is around 620, but many lenders will issue a loan with credit scores as low as 580. However, you can still receive VA refinancing with a lower credit score as long as you have a lender who is willing to work with you. Keep in mind that a lower credit score could result in a slightly higher interest rate. Refinancing your current mortgage could be a great solution to save you thousands of dollars. Veterans who qualify for VA refinancing, whether through the streamline or the cash-out refinance program, should highly consider taking advantage of this program. You could receive lower interest rates and more favorable terms on your financing that could improve your financial status. For more information on whether VA refinancing is right for you, be sure to contact your lender today. Can I use a VA loan to refinance a conventional loan? Yes, you can use a VA loan to refinance a conventional loan. It may be subject to credit approval and underwriting procedures, depending on your lender. 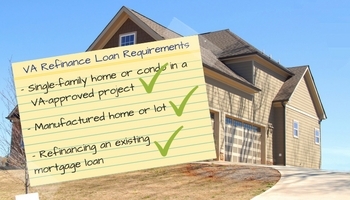 What is the maximum amount that I can refinance? This is dependent upon the VA loan limits in your specific county. In general, there are no maximum VA loan limits but the maximum guarantee amount is $453,100 for most counties (excluding those with higher costs of living). Beyond this amount, you may be required to place more money down on the home. What is the funding fee for a VA cash-out refinance? The funding fee is 3.3 percent for all second-time borrowers. Can I get a VA refinance loan to pay off credit card debt? Yes, a cash-out refinance VA loan allows you to pull money from the equity built up in your home for personal use. This can be used to pay off credit card debt.